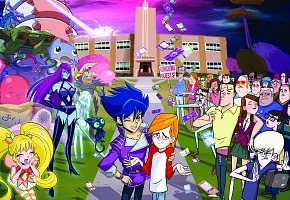 Cartoon Network has started production on Exchange Student Zero, their first Australian-made series that will see global distribution. The series from Bogan Entertainment Solutions will air in 2015. Another new project in the pipeline also from BES is the TV special Monster Beach (1×70’). It tells the story about surfing, scary locals and two kids battling to save their worst nightmare. Silas Hickey, Turner’s Creative Director – Animation, based in Hong Kong, is executive producer for both productions. The series is from Bogan Entertainment Solutions? Bogan? I assume these will just be American cartoons made in Australia.